Heading abroad with the family is a great way to celebrate a landmark event – whether it’s a birthday, engagement or any other joyous occasion. There are a number of destinations within a few hours of the UK that are perfectly set up for family retreats, so you won’t have to travel far to find the right spot for your break. When it comes to taking a holiday as a group it’s important to choose a location that offers something for everyone, and the best way to to do that is to rent a villa in an area that provides access to several towns and cities as well as lots of countryside. A stay in a French holiday chateau, for example, is something which all family members are sure to love, and you can find more information about this type of accommodation here. In this brief guide we’ll take you through some of the best locations for family trips in Europe. Known for its rolling hills and iconic cities – many of which are synonymous with Renaissance art – Tuscany is one of Italy’s most iconic regions. The landscape attracts thousands of walking and cycling enthusiasts every year, and with so many picturesque picnic spots dotted around the area it’s a great place to come if you want to spent a bit of quality time with the family. 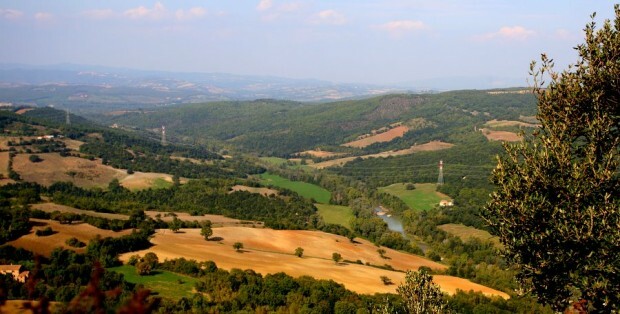 What makes Tuscany particularly suitable for celebrations is its array of fine wines, with 30 local vintages carrying a Denominazione di origine Controllata (the Italian equivalent of the French AOC) classification. Reds such as chianti and brunello are produced here, with the award-winning vineyards of Montalcino and Montepulciano always worth a visit. When it comes to culture, there’s probably no classier place in Europe than Tuscany, with the regional capital Florence being the spiritual home of Renaissance art. This can be experienced by visiting the world-famous Galleria degli Uffizi, while the city’s cathedral – the Duomo – features some of the most iconic frescoes on the planet. Elsewhere in Italy, Pisa is full of iconic landmarks such as the Leaning Tower, while those visiting Siena in the summertime can witness the breathtaking Il Palio horse race, which takes place on June 2nd and August 16th in the Piazza del Campo. One of the foremost reasons to host a celebration in Normandy is the food, with the region being home to a huge number of Michelin-starred restaurants serving the finest local cuisine. This is dominated by seafood, with oysters and mussels adding a taste of luxury to Norman life, while the area is also the birthplace of some of France’s most popular cheeses, including camembert. Finding something to do as a family while on holiday can sometimes be tricky, but Normandy is so full of charming towns and landmarks that there’s no danger of anyone getting bored. The UNESCO World Heritage Site of Saint-Mont-Michel, for example, is one of the most enchanting sites you’re ever likely to see, with this ancient sanctuary sitting in the middle of the stunning bay of the same name. Exploring medieval towns such as Caen and Honfleur, meanwhile, is another great way to spend a day. The region of Provence – which includes the stylish Cote d’Azur and cities such as Cannes and Monaco – is widely regarded as one of the most glamorous locations in the world, so it’s a great place to come for a celebration. Aside from boasting a huge number of pristine beaches, many of which bear the prestigious Blue Flag, it’s also home to an array of top-class vineyards. Many of these are based around the town of Ramatuelle, which is close to Saint-Tropez, with Grenache, Merlot and Syrah among the varieties that are produced here. Anyone visiting this particular region of Provence can also take a trip to the famous Tahiti Beach, which was immortalised by Brigitte Bardot in the 1956 film And God Created Women, and is now home to a number of exclusive beach clubs. Posted in France, Italy and tagged with Architecture, Attractions, Family, France, Italy. RSS 2.0 feed.